THE local government of San Fernando on Monday, February 4, recognized the city’s outstanding Fernandinos in grand rites at the mini convention center of Heroes Hall. 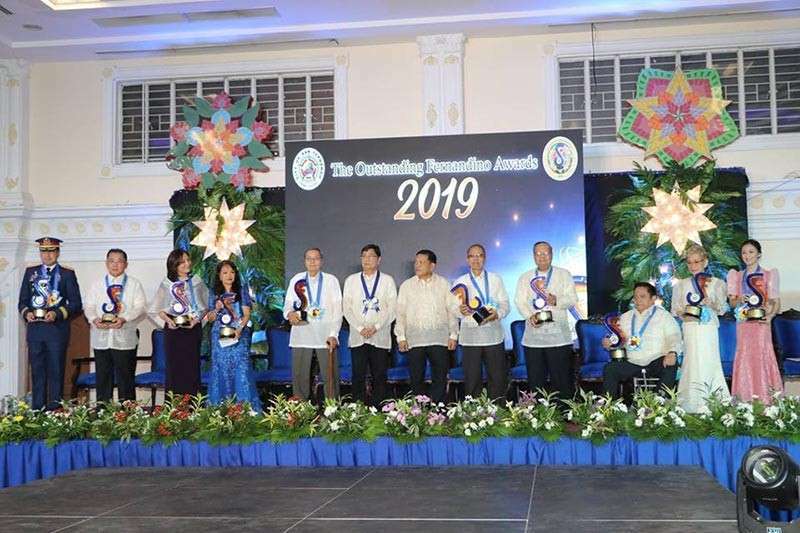 The Outstanding Fernandino Awards (TOFA) 2019 Executive Committee Chairman Conrado Pacla told SunStar Pampanga that TOFA continues to give recognition to those who excel in various professional fields. “The awardees showed how great they are to every Fernandino. They deserve to be awarded as they were able to achieve many things in their lives. I really hope everyone would look up to them and make them their role models for them to come out as outstanding as the awardees are,” Pacla said. For his part, City of San Fernando Mayor Edwin Santiago lauded the awardees and noted that they will be the faces of Fernandinos as they were able to show exemplary works of their own. “Because of their dedication to service to the country and Fernandinos, I salute them wholeheartedly for standing out,” Santiago said. Leading the outstanding Fernandinos is Philippine National Police Director General Oscar David Albayalde - whose award was received by Central Luzon Police Director Police Chief Superintendent Joel Napoleon Coronel on his behalf - who was feted for military and law enforcement service. Other outstanding Fernandinos include Nelson Sengson Castro for business; Private Education Assistance Committee Executive Director Rhodora Angela Fernandez-Ferrer for education; Stanford University Clinical Professor of Medicine Dr. Julieta Marimla Gabiola for medicine; Benjamin Yap Lingad for traditional crafts. Virgilio Laygo Malang for science and technology; Rafael David Maniago for culture and arts; Department of Public Works and Highways Bureau of Construction Director Walter Regala Ocampo for community service; servant leader and counselor Elizabeth Praxedes Vega Pusung for religious service; and Dara Mae Halin Tuazon for youth service. A posthumous recognition was also given to Jose “Pepito” Abad Santos, Jr. who contributed to history as a witness to the martyrdom of Chief Justice Jose Basco Abad Santos, his father.